Summer term 2x5 weeks after school 45 min yoga classes. - 45 mins session, please arrive early so we can start & finish the class on time. - For the first class we will contact you to complete a form with more details. - Please bring a (basic) yoga mat, we will have a couple of spares but it is nice for a child to have their own mat to start developing a practice at home. 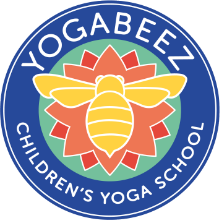 - DBS checked, Certified 200 RYA & YogaBeez Foundation and insured via YogaAlliance UK.